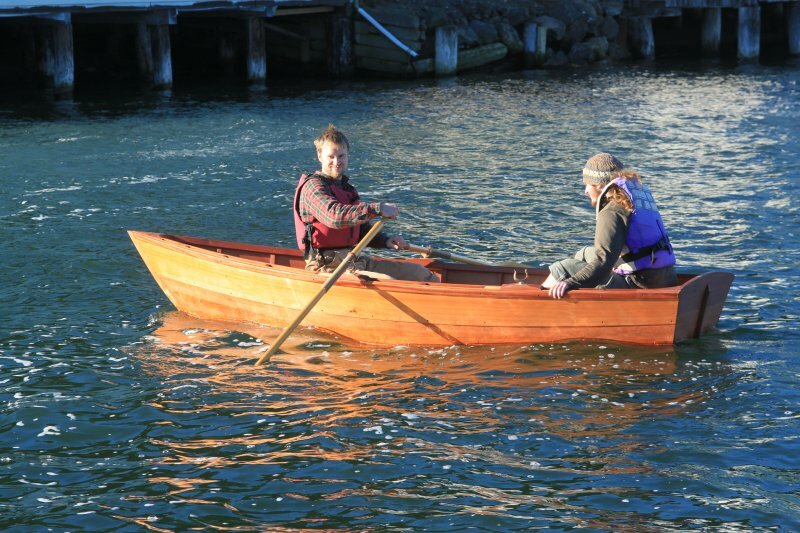 The Northwest School of Wooden Boat Building builds Flat-Iron skiffs during the first semester of each year-long class. 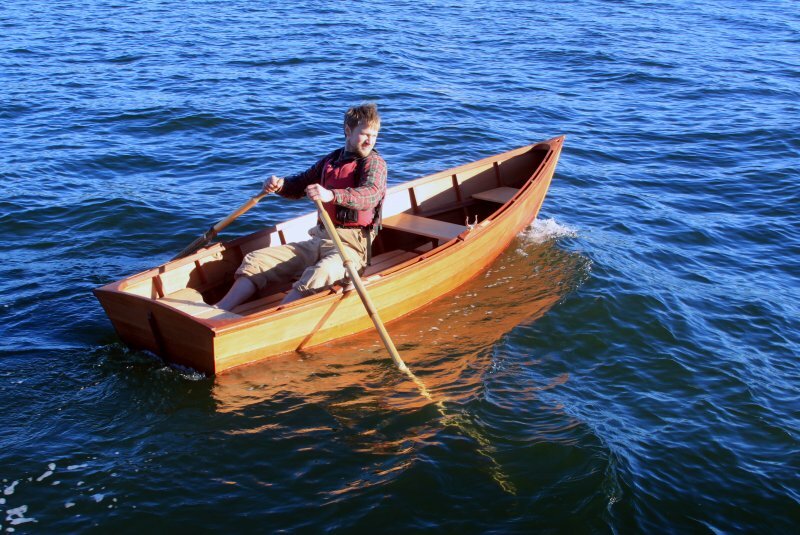 The school accepts commissions for boats from 11′6″ to 16′ long. If the class is building on speculation, the boats are usually 11′6″ or 12′6″ long. The class also builds a pair of spruce or larch oars for each boat. This flat-iron skiff was designed by the famous Pacific Northwest designer Edwin Monk. He included the plans for these popular little boats in his 1934 book, Small Boats.These skiffs are colloquially known as “flat-irons” or just “flatties” since that’s what they look like when viewed directly from above—the flat-iron used by our grandparents to press clothes. The Northwest School of Wooden Boatbuilding, located in Port Hadlock, Washington, is a private, accredited, non-profit, vocational school. Our mission is to teach and preserve the fine arts of wooden boatbuilding and traditional maritime crafts. 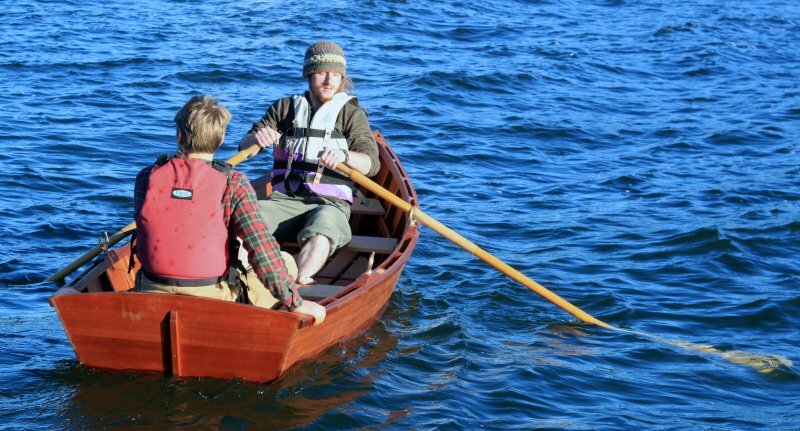 We build both commissioned and speculative boats for sale while teaching students the boatbuilding skills they need to work in the marine trades. If you’re interested in buying a boat or in becoming a student, you can reach us via e-mail at info@nwboatschool.org or by calling us at 360–385–4948.